Info: 4 BR, 4.5 BA Resort Residence with 2500+ s.f. 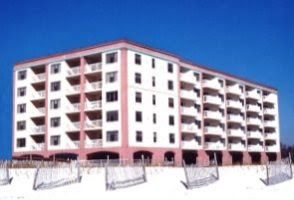 This Orange Beach AL condominium is located at Phoenix West II on the beautiful Alabama Gulf Coast. This resort property would make a great real estate investment and/or second home – the home has a great rental history with a substantial repeat visitors. This 17th floor residence is being sold with first-class furnishings. The 700 sq. ft. balcony includes a gas grill and hot-tub with incredible views of the Gulf of Mexico and Orange Beach. The complex amenities include a water -lide, lazy-river, indoor pool, outdoor pool, hot tubs, fitness facility, sauna, tennis courts and more. Phoenix West properties are among the nicest complexes on the Gulf Coast. Make plans to see this Orange Beach AL Condo at Phoenix West II.